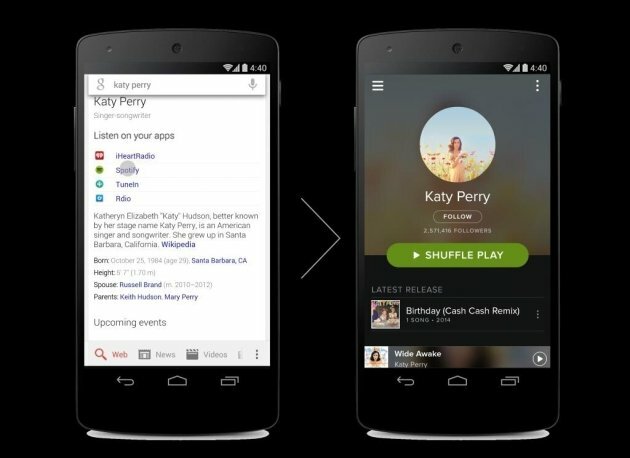 Google Now keeps on moving forward, adding in new features all the time. This time they’ve added a small, but a nifty one. If you decide to search for music of some kind, Google will (as it did thus far) show you the results of your search. However, from now on it will offer you quick links to listen directly via your favorite music apps. This is quite convenient considering it’s skipping a few steps this way, you don’t have to open those apps manually in order to listen the music you’ve searched for. As we said, this is just a small addition to the service, but a very useful one. We hope Google will keep on adding features like this in the future like they did thus far.